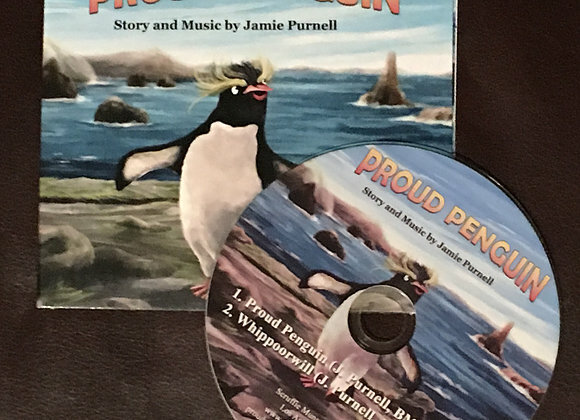 "Proud Penguin" is the debut children's book by award-winning singer Jamie Purnell. It tells the feel-good tale of a penguin whose spirits are lifted from building a new friendship with a seagull. The storybook comes with a free download of the original song, and is made to delight and entertain families as they read and sing along. Sheet music also included!